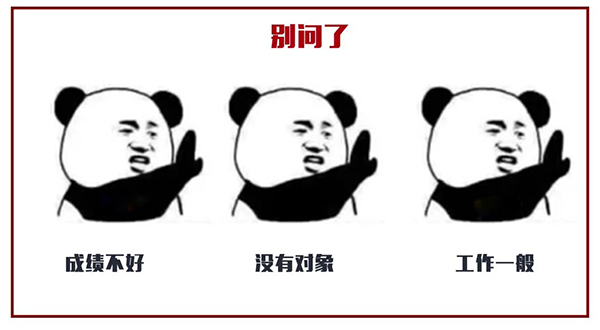 Ironically known as "China's fifth great invention" (after the historical paper-making, the compass, gunpowder, and printing), memes are now an inherent part of Chinese people's daily lives. 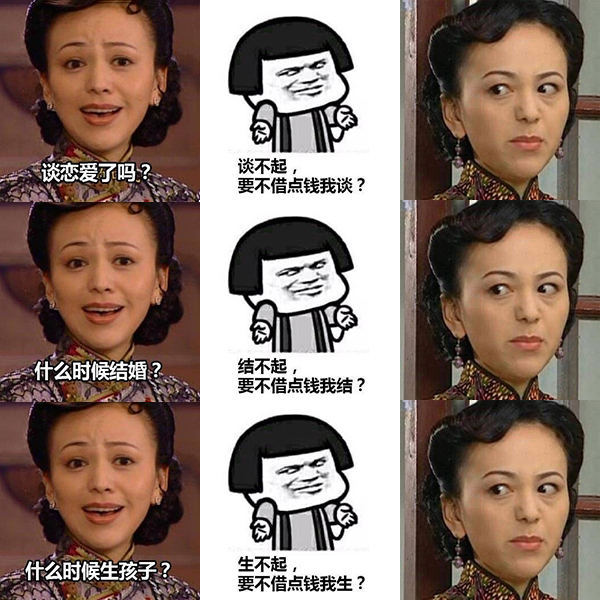 It's almost a little bit weird to talk to your Chinese friends without using memes. They are a useful tool to express attitude and emotions, or to say what cannot be said directly. 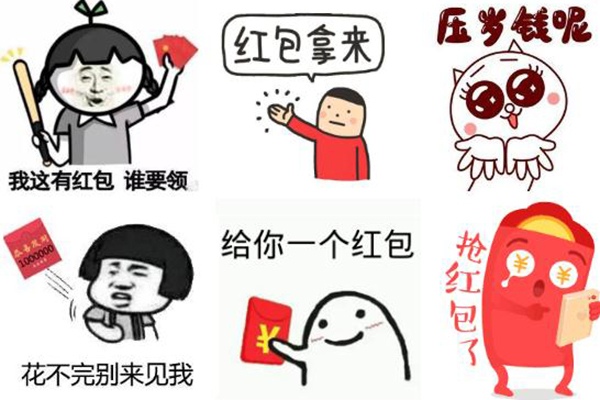 An increasing number of memes are needed to use in different circumstances like asking for red envelopes, wishing people a happy new year or good luck, and "dissing" other people. "Have you fallen in love with someone?" "When will you tie the knot?" "When will you give birth?" "What's your annual salary?" Faced with such serious, private questions, a growing number of young people in China almost fear going home for Spring Festival; being grilled on money and family pressure on marriage are two almost universal concerns. To help you cope with different situations, here's a practical meme strategy. 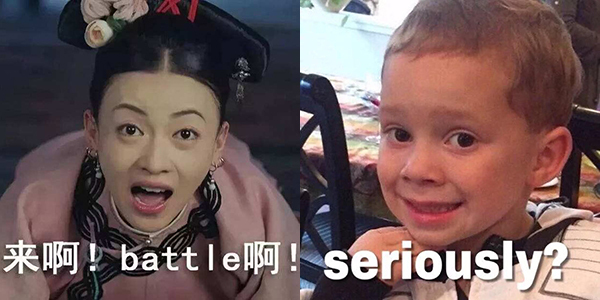 If you're a Chinese reader, it may inspire you in an upcoming meme battle. 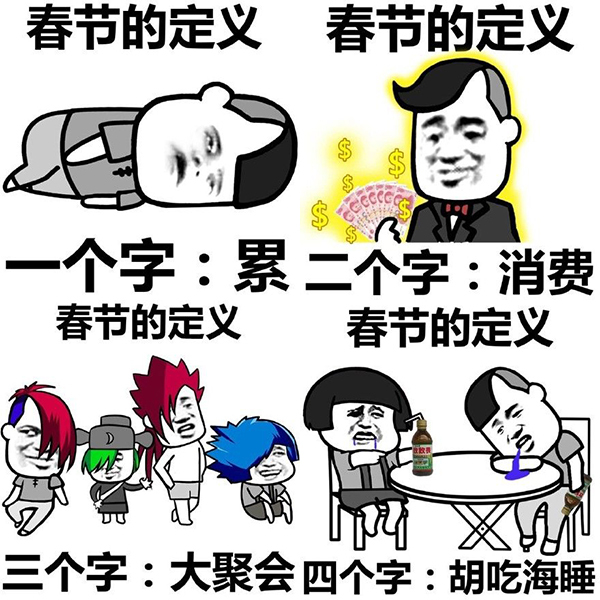 If you're a foreign reader, it may help you better understand the most popular memes with Chinese people, especially the young generation. If your relatives ask you one of those awkward questions about love or money, why not go on the counterattack? If they ask about your love life, ask them about their children's private lives in return. If they ask how much money you earn, respond with a detailed inquiry on their savings. Just like the old Chinese saying: "Don't do to others what you don't want others to do to you." Gavin Thomas, an eight-year-old boy from the US, known as "the boy with a fake smile" in China, has gained online fame thanks to his unique facial expressions. The "the boy with a fake smile" has become a popular choice for people encountering questions they don't want to answer. 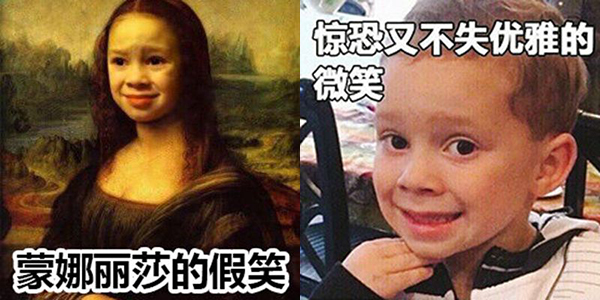 Also, the boy's smile is considered a symbol of helplessness among young Chinese people. 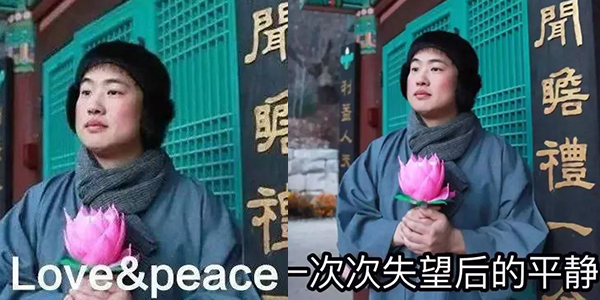 "Buddha-like youngsters", were mostly born in the 90s, claim that they "see through the vanity of life", and keep a casual and calm mindset toward career and life. In answering tough questions during the holiday, they usually adopt the attitude of not caring. After all, "love and peace" takes center stage in their lives. "Red envelope" fever swept the country when internet giants WeChat, Alibaba, and Baidu rolled out programs allowing users to send cash through electronic payments. It is based on the Chinese tradition of hongbao, where money is given to family and friends as a gift. During the festival season, most people will get many more red envelopes than usual, so red envelope-based memes are always a good choice. TYPE FIVE: JINLI - THE WORD OF THE YEAR? In 2018 buzzword Jinli was definitely a candidate for word of the year in China. It refers to someone who always seems to win thanks to sheer dumb luck. The slang word first came from Yang Chaoyue, a controversial contestant on the hit reality show Produce 101. She came in third place in the show and was then called a "lucky carp", with fans tweeting her picture instead of the fish to pray for their wishes to come true. TYPE SIX: PACKING ON POUNDS? Spring Festival is a happy time to reunite with your loved ones, and many people eat, eat, and eat, before getting fatter, fatter, and fatter. 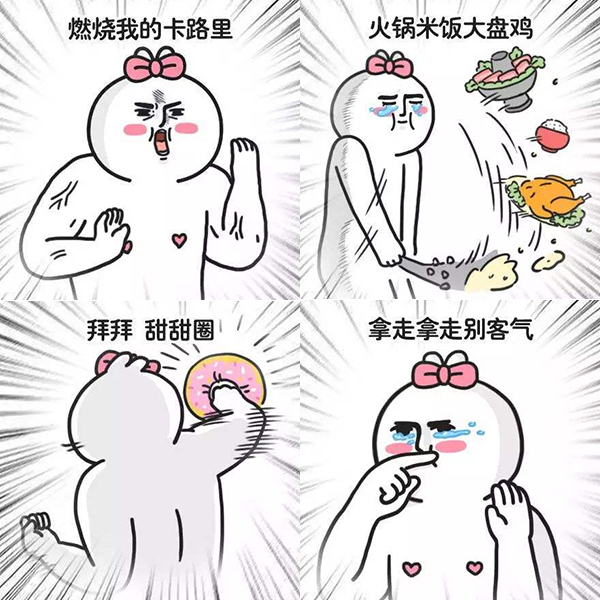 So during the last days of Spring Festival, many people may regret they eating too much and not working out. Memes about weight loss are sure to be popular. Visiting people on New Year's Day, or paying new year calls, is an important tradition during Spring Festival. On lunar New Year's Day, people visit friends and relatives, exchange greetings, and wish each other a happy new year. It is a way to ring in the new. 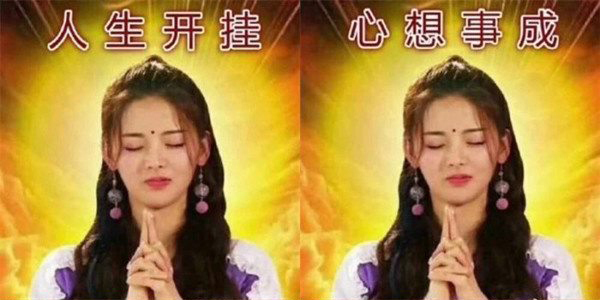 In the age of the internet, best wishes can be sent via meme on China's major social media platforms like WeChat and Sina Weibo. 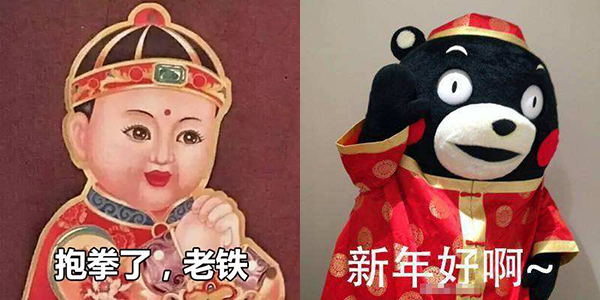 With the Year of the Pig approaching, pig-related products have become a popular choice on Chinese people's shopping lists, and pig-based memes are also winning favor. 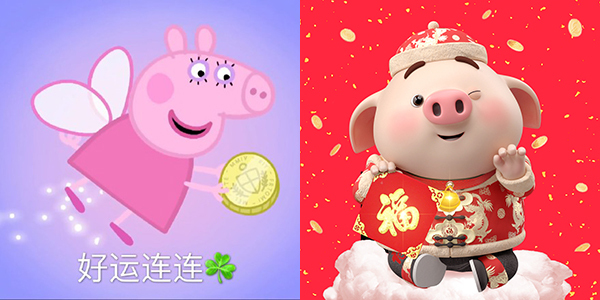 Cartoon pigs like Peppa Pig, Little Pig P, and McDull boast huge fan bases,– their memes have also become favorites for many.